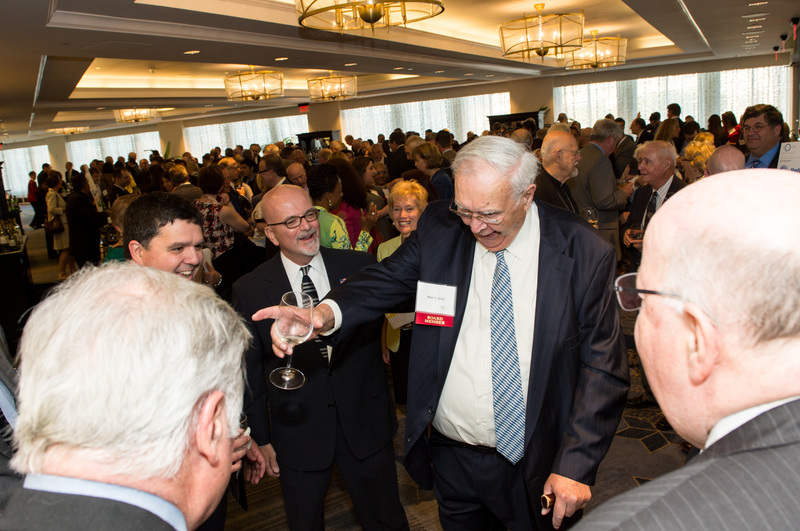 On Thursday, the World Affairs Council of Connecticut hosted its 11th annual Luminary Award at the Marriott Hotel in downtown Hartford. 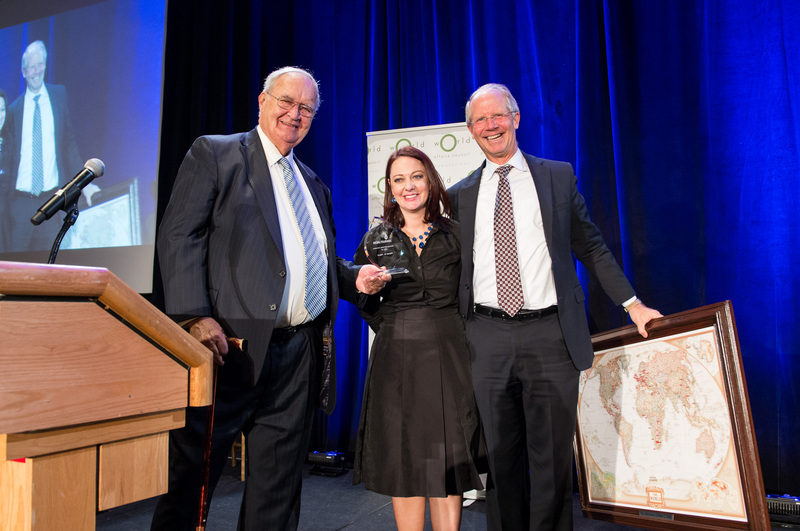 Every year, WACCT awards a Connecticut-based individual or organization who has made a global impact; past awards have included Save the Children, AmeriCares and former Secretary of State Dr. Henry Kissinger. 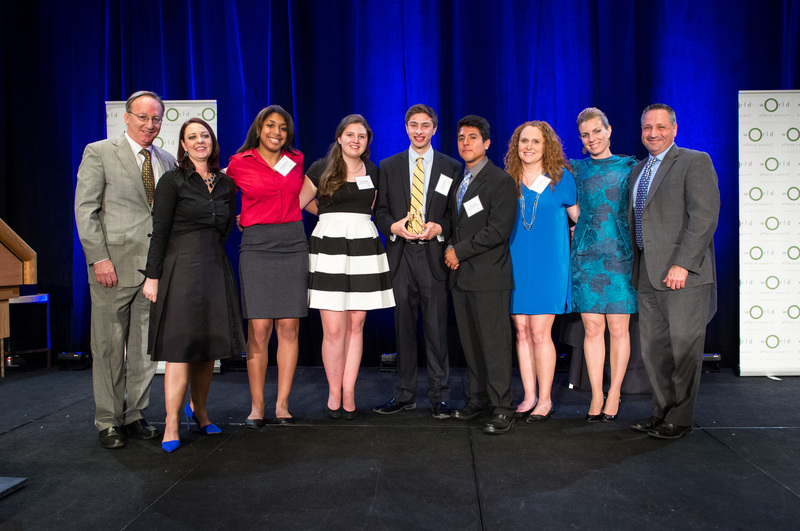 This year WACCT honored Peter G. Kelly for his work towards democracy globally. He has helped to found a number of political organizations, including the Center for Democracy (CFD), the National Democratic Institute (NDI), the International Center for Middle East Studies, and the Malta House of Care. The ballroom was packed with people who joined us in celebration of Peter G. Kelly’s achievements throughout the reception and dinner. He shared stories of his work, his colleagues, and his engagement with the World Affairs Council of Connecticut as well as his thoughts on today’s major global issues, advocating for greater understanding and tolerance in combatting extremism. Additionally, two student awards were granted. The Junior Achievement Global Connection Program participants, a group of students from Wallingford, received the Global Engagement Award for their joint business-development program and exchange with students in China. Shakira Padilla of Bulkeley High School was awarded the Peter G. Kelly Global Scholar Award for her engagement in international issues throughout her studies. 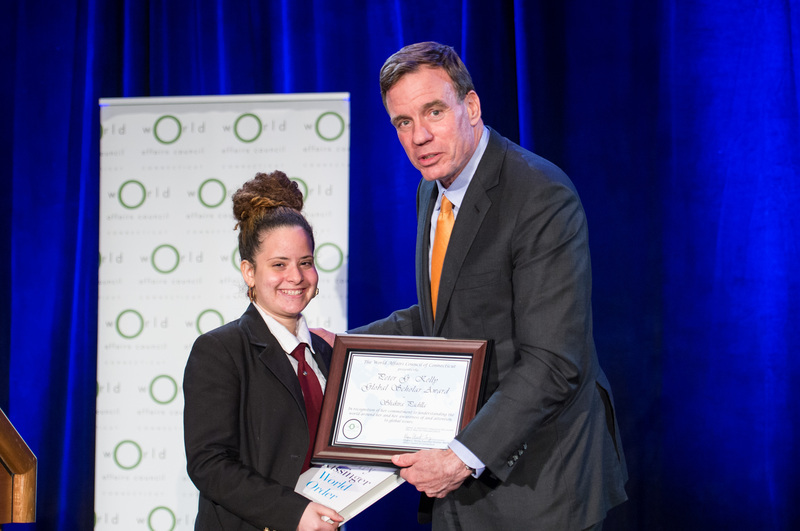 Senator Mark Warner of Virginia, who attended Rockville High School, appeared as the keynote speaker, speaking on the intersection of global politics, technology, and business. Finally, a surprise visit by alumni of The Georgetown Chimes, Georgetown University’s a cappella performance group, of which Peter G. Kelly is a member, added a note of lyrical fun to the evening. All in all, a great turn-out in support of an engaging honoree made for a wonderful evening. Previous Post China and the United Nations – In Connecticut!